Norma Cordova Bioluminescent algae was one of the projects Kyle Taylor had been working on at BioCurious. Norma Cordova Antony Evans, Omri Amirav-Drory, and Kyle Taylor said they debated internally whether or not to distribute the glowing plant seeds, but ultimately decided to. Norma Cordova BioCurious board member Kristina Hathaway said she's not sure if she agrees with the Glowing Plant team's decision to release its seeds to the public. 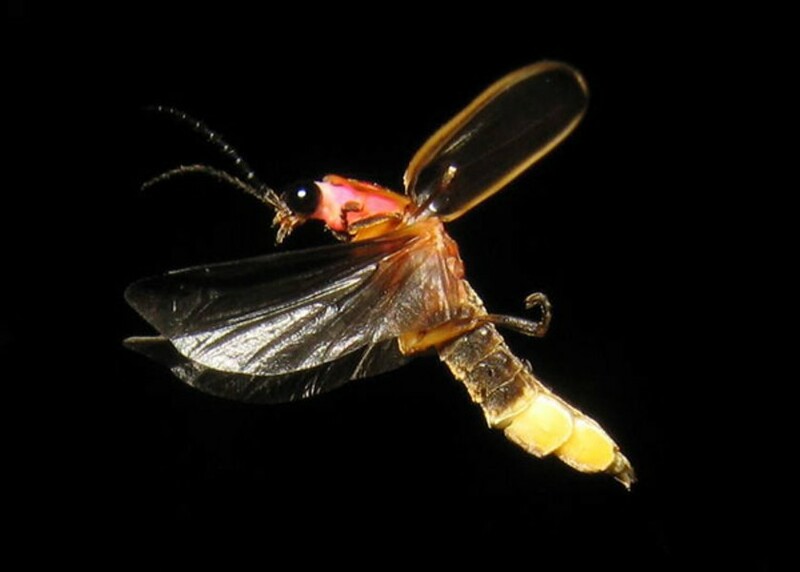 Fireflies express a version of the bioluminescence genes that the Glowing Plant team hopes to insert into Arabidopsis. What if we used trees to light our streets, instead of streetlamps?" That was the simple yet ambitious question posed by an April campaign on the crowd-funding website Kickstarter. The proposal? 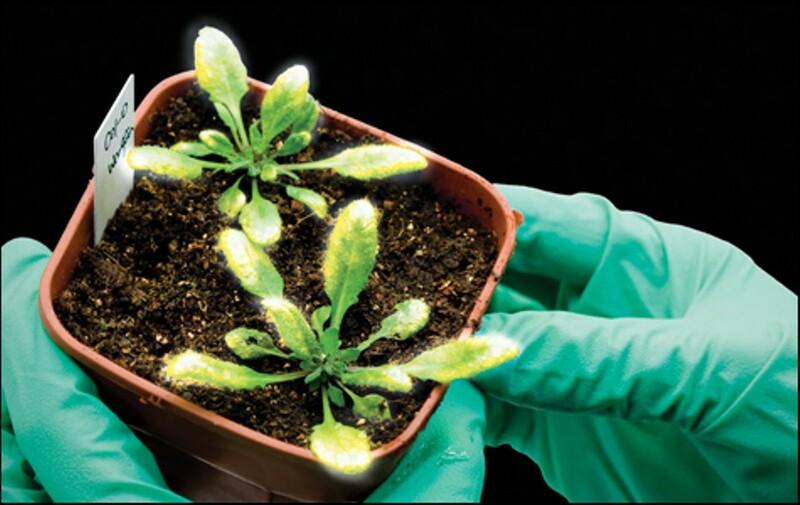 To produce a glowing plant by inserting genes from bioluminescent bacteria into the DNA of a small, wiry plant in the mustard family called Arabidopsis thalania. One day, the campaign hypothesized, such an accomplishment might lead to the engineering of glowing trees. "The potential is limited only by our greatest imagination," the Kickstarter video declared. The project promised to send backers who pledged more than $40 packets of fifty to one hundred genetically altered Arabidopsis seeds — allowing them to grow their very own glowing plants wherever they wished. The tagline — "Avatar's Glowing Garden Becomes a Reality" — caught on instantly. Within the first hour of going live, the Glowing Plant project hit 20 percent of its $65,000 goal. Within three days, funds soared well past that amount. By the time the Kickstarter effort ended on June 7, 8,433 backers had pledged roughly $484,000. The idea of producing a glowing plant was not entirely new — one private company has been working on making them for the last year. But one thing that distinguished the Glowing Plant endeavor was the fact that the three men behind it — Omri Amirav-Drory, who owns a synthetic biology software firm in Berkeley; Antony Evans, a tech entrepreneur in San Francisco; and Kyle Taylor, a 29-year-old high school science teacher with a Ph.D from Stanford — were not attached to any private lab or university. 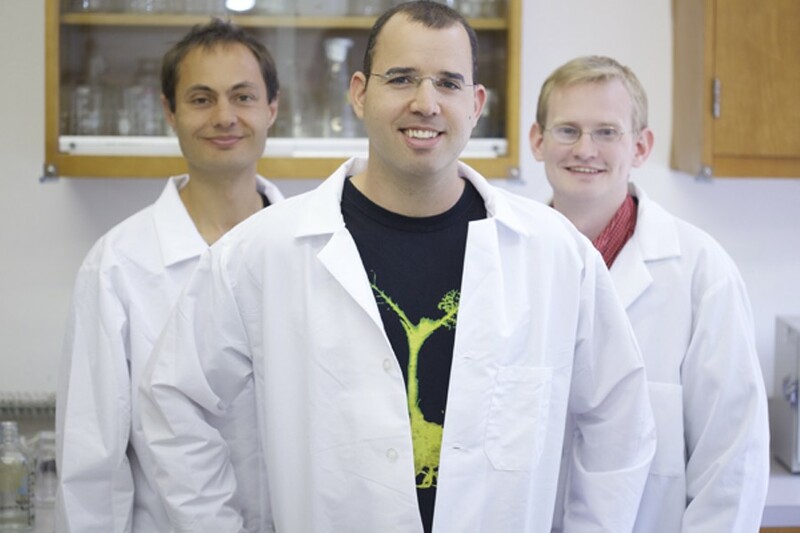 Their research was being conducted in the so-called DIY bio world, a small but growing community of hackers, tinkerers, and off-hours science enthusiasts. And now they were going to make the fruits of their labor available to anyone. As DNA has gotten cheaper and faster to sequence and synthesize, there has been a surge in interest around synthetic biology, which, at base, involves the engineering of new life forms with novel functions. The cost of sequencing the entire human genome has fallen from more than $95 million in 2001 to roughly $5,800 this year; synthesizing a single base pair of DNA now costs about 25 cents. Possible applications of the new biology-technology hybrid abound, including synthesizing vaccines faster than ever, making new biofuels, and creating novel biosensors to test water quality. A report this month by a New-York-based life sciences consulting firm estimated that the market for synthetic biology will grow to $16.7 billion over the next five years. A side effect of this nosedive in costs has been increased access: These days, anyone can buy used lab-grade microscopes on eBay for a couple hundred dollars, and some have even claimed to be able to convert a webcam into a poor-man's version for less than $10. As faster technologies are built, used DNA sequencers can be purchased online for a few hundred to a few thousand dollars. In many ways, this has blown open the door for anyone to start tinkering with biology, if only to engineer something novel like a glowing plant. 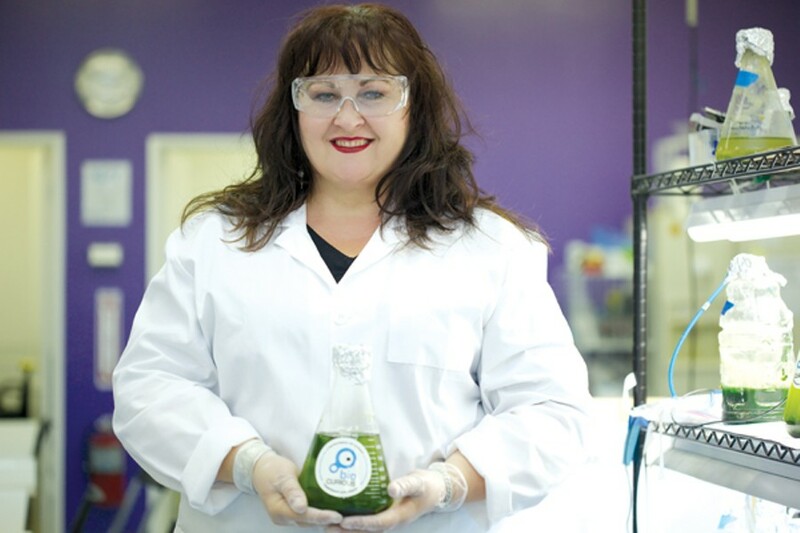 Yet almost as soon as the project was heralded as synthetic biology's exciting mainstream debut, it also raised the ire of those who felt the public dispersal of such a genetically engineered plant would be irresponsible — and impossible to undo. Thus far, the DIY bio community has been entirely self-regulating. Never before had any of its members decided to release a genetically engineered organism to the public. Yet in doing so, Amirav-Drory, Evans, and Taylor effectively cast a critical spotlight on the DIY bio community, as well as on the burgeoning field of synthetic biology. As it turns out — with the exception of a few restrictions — it's entirely legal to genetically engineer a plant and then release it into the environment, without much testing or oversight. In the new and rapidly changing world of synthetic biology, it's become apparent that federal regulations are decades behind scientific reality. Now, proprietors of the South Bay DIY lab BioCurious, where the Glowing Plant project did its initial work, are trying to decide whether it violates their self-designated safety codes. Meanwhile, staffers on Capitol Hill are realizing that existing federal rules are woefully unequipped to regulate such endeavors. As companies and individuals become increasingly able to create new forms of life that we haven't yet even imagined, the questions become: To what end should synthetic biology work toward? Who should regulate the field, and what sorts of regulations should be in place? 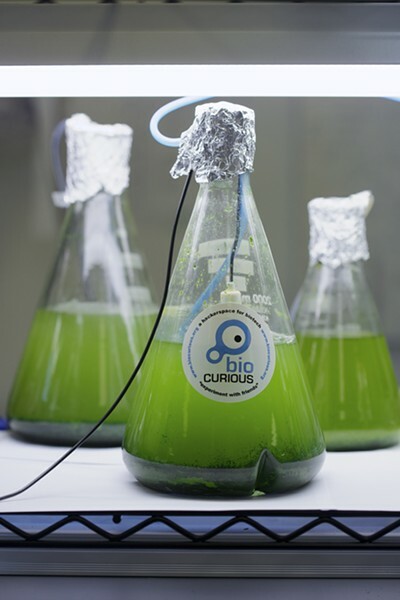 Should there be stricter rules governing the DIY bio community? And if not, what happens next? The era of garage biology is upon us," wrote Robert Carlson, author of Biology Is Technology: The Promise, Peril, and New Business of Engineering Life, in a 2005 op-ed in Wired. It was early on in the phenomenon, but a radical shift was occurring: People could, for the first time, conduct real scientific research without being part of the bigger machinery of a university or industry. But, for a while, no one really knew if such a thing was allowed. For tinkerer Raymond McCauley, the struggle was figuring out how to best manage his self-described "little mad science laboratory in a garage," where he was working on developing a "nano-mechanical DNA sorter." So in 2009, the Mountain View-based bioinformaticist started meeting up with others who had similar homemade setups in their closets and kitchens, where they would fiddle away on projects at night after their day jobs.